CBD For Pets – Is It Safe To Give My Pet CBD? Is it okay to give my pet CBD oil? We are receiving some fantastic feedback from Bristol CBD Oil customers who have been enjoying the health-giving benefits of our CBD oil for not just themselves, but also for their pets. Considering the similarity of endocannabinoid receptors in humans &animals, it makes sense that CBD could help support the building blocks of wellbeing for animals as effectively as it would for humans. How much CBD should you give to your pet? When it comes to CBD dosage for humans, we have a recommended guide which you can in our recent blog post “How Much CBD Oil Should I Take”. Primarily, CBD is what is known as a biphasic compound – meaning that is has different effects at low doses vs high doses. There is some instructive literature available which recommends a slightly different approach to dosage for pets & it’s well worth doing some initial research to draw your own conclusions together. The bulk of literature available suggests that dosage is recommended based on the weight of your pet. 1. First, consult with your veterinarian to ensure that CBD won’t interfere with your pet’s current medications or health conditions. 2. If all is good, start with 1mg of CBD per every 10 lbs. of an animal’s body weight, once or twice a day. 3. Generally, it’s good to start small, and gradually increase the amount of CBD every week until you see your desired benefits. Searching for CBD oil will bring lots of products to your attention, but do they answer the questions you maybe thinking before purchasing and consuming? Bristol CBD Oil not only offer remarkable oils for optimum health, they also kindly detail all answers you maybe asking yourself before purchasing. 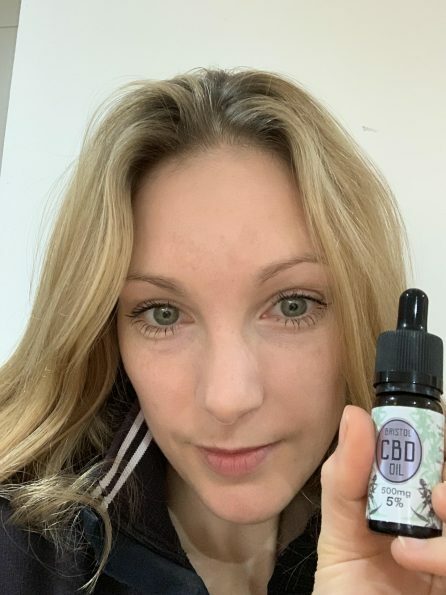 CBD oil is sold legally in the UK as a food supplement that is rich in cannabinoids and terpenes, these two interact with the endocannabinoid system in the body to bring balance to the mind and body. The world health organisation states that CBD oil is non-toxic, non-addictive and non psychoactive. CBD oil is derived from a strain of cannabis plant called hemp sativa, it naturally grows with very low levels of THC making it legal in the UK, but does contain high levels of and over 100 different healthy cannabinoids. CBD and other cannabinoids are not psychoactive and are not physically addictive. The Bristol CBD Oil Range. 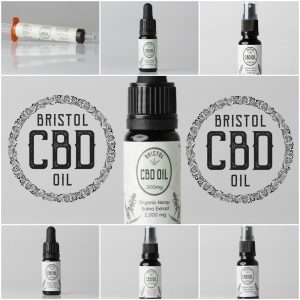 All products sold by Bristol CBD oil have a measured amount of CBD in it and each label states the percentage and total weight. All CBD products sold in the EU must be laboratory tested, this is a good indication and reminder when purchasing any CBD oil from any shop or website to be sure of the amount of CBD in your purchase. 300mg CBD Oil in a 10ml dropper bottle – CBD is 3% of net weight. 500mg CBD Oil in a 10ml dropper bottle – CBD is 5% of net weight. 600mg CBD Oil in a 20ml spray bottle – CBD is 3% of net weight. 1000mg CBD Oil in 20ml spray bottle – CBD IS 5% of net weight. 1000mg CBD Oil Gold in 10ml dropper bottle – CBD is 10% of net weight. 1500mg CBD in plastic syringe – CBD is 17% of net weight. 2000mg CBD Oil Gold in 20ml spray bottle – CBD is 10% of net weight. Precautions And What Strength Should I Start At? It is noted that if you are taking any medications that you should consult your doctor before taking any CBD product and will not be sold to anyone under the age of 18. Bristol CBD oil have a comprehensive guide and suggest taking a low dose first, before increasing the dose suitable for you to feel the balance between mind and body. Spraying or dropping the CBD oil in the mouth and holding it near the gums before swallowing has shown better absorption of the active ingredients through the mucous membrane in the mouth, than if you were to swallow and it be absorbed by the gut. 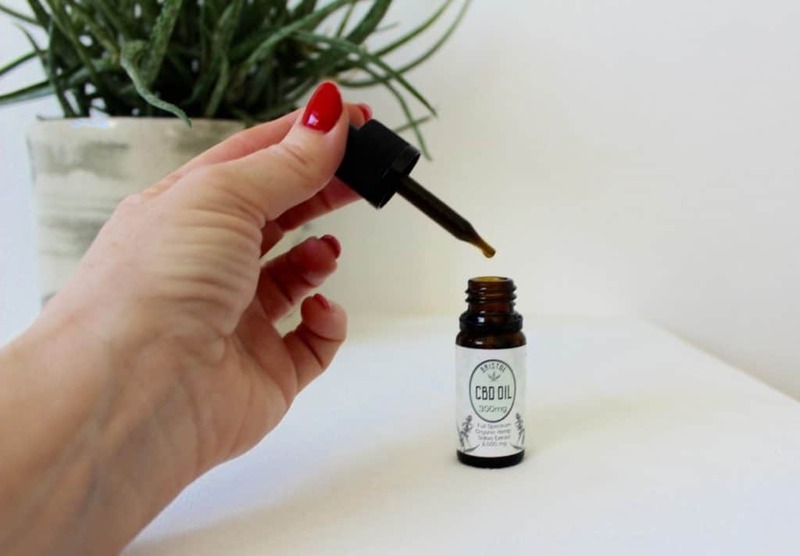 Bristol CBD oil also suggest you can tailor the taste to your own liking by placing a few drops onto a mint, boiled sweet, or a spoonful of honey. How Taking CBD Oil Can Help You? Relieve muscular & joint pain. My Experience Of The Bristol 300mg CBD Oil In A 10ml Dropper Bottle. Extracted from the plant using super critical CO2 extraction to ensure purity, the oil is a rich dark colour as it is a whole-plant extract suspended in organic hemp seed oil. 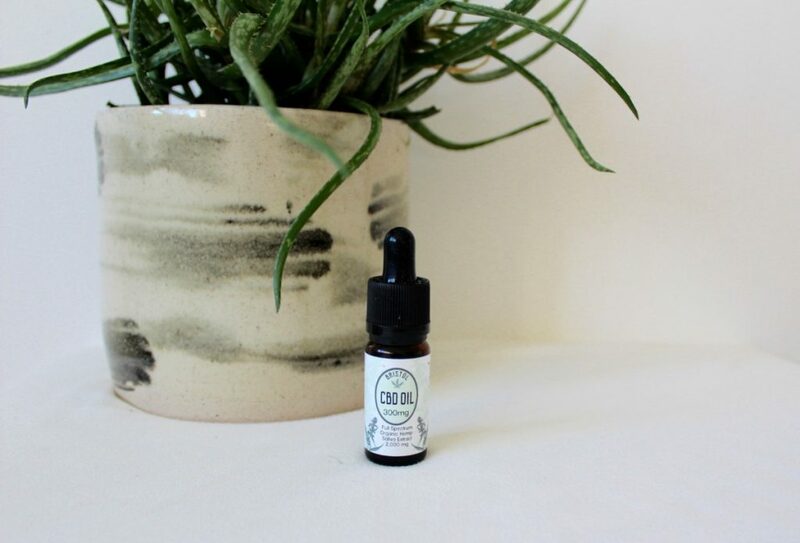 The low dose is perfect for beginners to be introduced to CBD oil and contains 300 drops in total, while the recommended dosage is 2-20 drops per day. Fast and free delivery, the brown bottle with an eye dropper tool for quick dispensing is accompanied with an informative label. Opening the mouth and lifting the tongue, i dispense two drops to be in contact with the gum and hold the CBD oil in my mouth for a minute, before swallowing. The texture of the oil is not overly oily and quite palatable, while the taste is nutty, earthy, and is best described to think green! I did experience an emotional calming and comforting experience, while also being alert and more focused on any tasks of the day, by only taking 2 drops per day. The Bristol CBD oil is extracted from organic hemp sativa with no chemicals or pesticides used or present. The growers use natural methods to nurture the produce and they hand-harvest the buds and flowers, before carefully extracting the CBD oil to make it suitable for vegans, is lactose free and non-GMO. Discover the CBD oil of your choice and the beneficial benefits this natural supplement can achieve for optimum health. So this is a bit of a different one for me! I am used to writing about how much I dislike certain fashion collections or that I’m interested in such and such a brand. 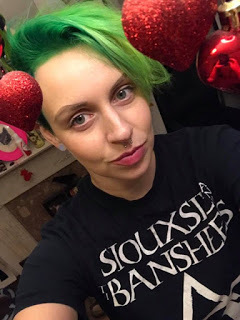 I am not used to writing about my mental health struggles. Which is a shame because the more we speak about these things then the more they become normalised and discussed. I made a decision mid last year to be more open about my mental health to people and it has helped. So here we go! This is not a mild worry that I’ve left the gas on but a horrific fear that seeps into my every day that I’m about to fired, my friends hate me, my partner hates me. I started a high dose of medication in 2016 when I realised how ill I actually was. I came home from Italy and was afraid to go for walks because people walking towards me had concealed knives or that the microwave was going to explode at any minute. At my worst, I couldn’t be in a car because of the fear that I would be killed by people driving too close to things. I have tried so many things over the things but it makes my life a bit of a nightmare. I’m just constantly trying to stop myself from thinking I’m a burden on people. 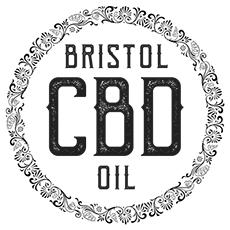 I scaled down the blog, I started to mind myself but nothing works. I’ve learned this week just how much I struggle with it. My body is currently detoxing from my medication. I forgot to pack my pills for my time in Ireland and I have had to go cold turkey which is not advised. So where does this blog come into this? I started to look into alternative forms of medication and help over the past few months. I took up acupuncture and introduced a ‘self care Wednesday’ where I do nothing but eat take away and watch crap TV. But I’m constantly looking for something I could try. People had constantly referred me to CBD oil. 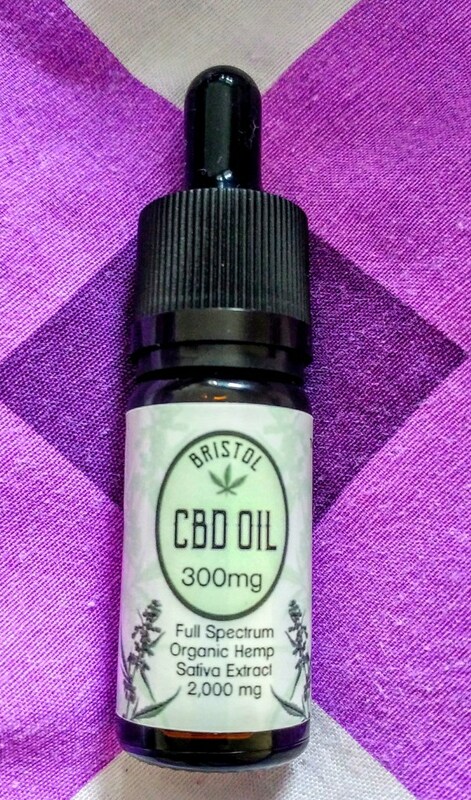 I was delighted to get a bottle of Bristol CBD Oil to use over the past few days. I’ve really wanted to try CBD oil as I know a few people who use it to take the edge of anxiety. I wanted to use it with my medication as a way to take the ‘argh’ off my day. There was a catch. I knew nothing nothing about it. In fact, since I started taking the Bristol CBD oil, I’ve noticed how many women have felt the same. I’ve been blown away by how many women on social media have messaged, commented or tweeted me with the same questions I had. 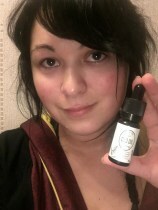 ‘How do you take it?’ or ‘where do you get it from?’ questions made me realise that the vape/CBD and online CBD industry doesn’t feel like a particularly female friendly space. There is a market out there to talk to women about CBD oil. I knew nothing about this before I started. This is where the Bristol CBD website came in handy. It explained everything clearly so I could understand what I was taking. In fact, you can find their information page here if you would like to know more. I started out slowly using a low dose. I’m glad about this because this was literally the only thing I knew about CBD. When I get a bit stressed or anxious, I put a small amount underneath my tongue. It can be a strong taste at first but its not unbearable and its not too gross. I got used to it quite quickly. In fact, I travelled to Ireland for Christmas (sadly I had to leave it behind) and it nicely helped to take the stressful edge off my journey. I find travel one of the more triggering things about my anxiety. In taking the CBD oil, I found a nice reassurance that I didn’t have to worry. I’ve done this journey so many times that it is second nature to me now but there is still space for panic that anything could go wrong. While on the CBD, I would start to panic and then I would feel the stress melt away. I have another reason for wanting to get to grips with CBD oil. I want to order some for my mother who is dealing with the stress of my father’s cancer diagnosis and chemotherapy. 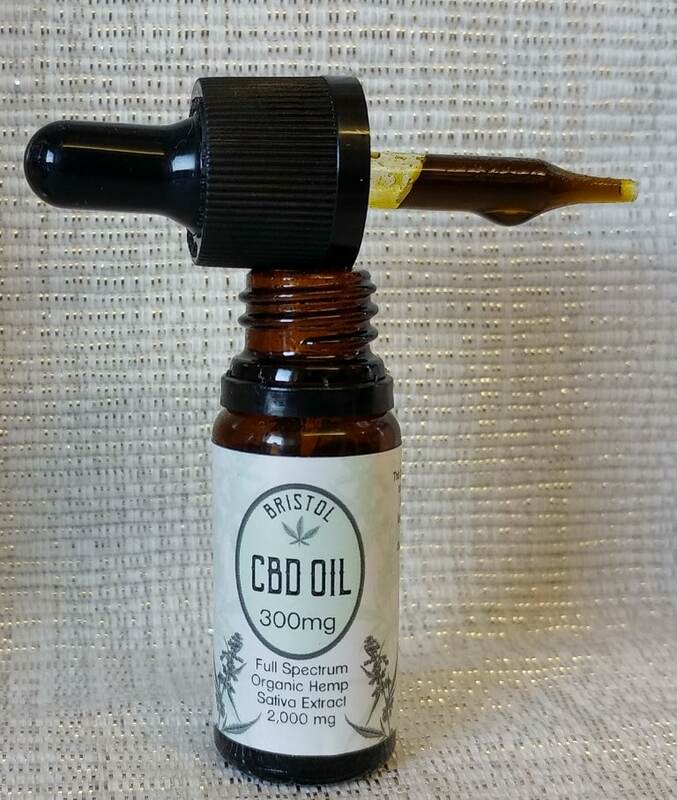 You can also find Bristol CBD oil to buy: here. Bristol CBD are extremely reasonable with their prices. I know this for a fact as I tried to buy CBD in Ireland and it was not a great experience! I’m actually about to order some for my mum too! My advice again would be to start small and then build up from there. Not into the oil? Try the chocolate or muscle rub instead! We normally recommend that people start with our 5% CBD oil as this is the medium strength of our range and most people find that this is the place to be. 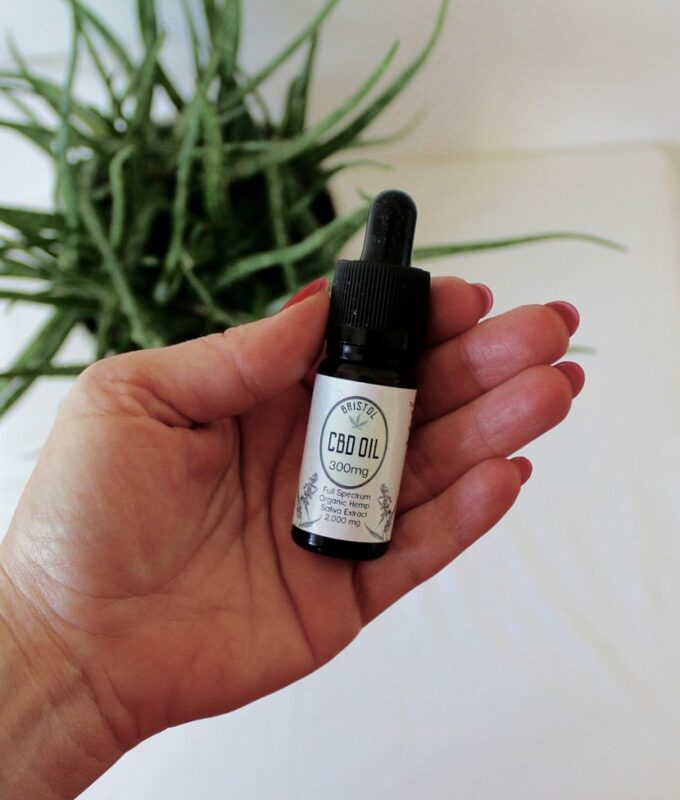 However some people are very sensitive to CBD oil and therefore it is worth considering starting with the 3% oil if you are concerned about using a medium strength oil. Most people find that they get the benefits from CBD oil by taking between 10 mg and 30 mg of CBD per day. Our 5% CBD oil has approximately 2 mg of CBD per drop or spray. This means that you can start with a very low dose of 1 to 2 drops morning and evening and slowly work up until you reach 5 to 15 drops per day. If you are using CBD oil in order to boost your health quite dramatically perhaps because you are undergoing a serious health issue then it is worth considering a stronger oil perhaps 10% CBD oil or the 17% CBD paste. When you first start taking CBD oils, you should start with a low dose, and start increasing gradually, as per our dosage guide. Once you have decided which strength CBD oil you want to buy then you can simply choose whether you prefer to have a dropper bottle or a spray bottle. The Dropper bottles are 10 ml in size and the spray bottles are 20 ml in size so you get twice as much CBD in the spray bottle as you do in the dropper bottle. If you have any questions regarding which bottle to buy or what dosage to start on please do not hesitate to contact us. We are always happy to help. Everyone is different; everyone’s body is different. As a result everyone reacts to CBD differently. Some of us are naturally much more sensitive to CBD than others. With CBD it is important to start with a small dose and build it up slowly. 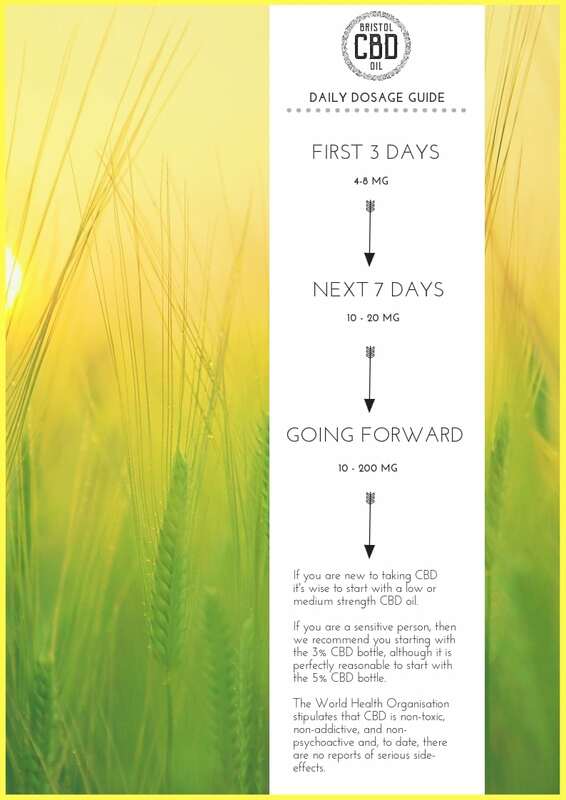 Discover how your body reacts to CBD for a few days before increasing the dose. See our guide below. Some people only need about 10mg of CBD p/day, whereas others find that they might require up to 200mg per day. CBD Oil is twice as bio-available via the gums, than via the gut – which means that it is absorbed much better when held in the mouth for a minute. Spray or drop the CBD oil into your mouth then close your lips and apply slight suction. This boosts the absorption of the active ingredients through the mucous membrane in the mouth before swallowing. The Endocannabinoid System – Why Is It So Important? We have a number of people asking us how CBD works & why it is so healthy. In short, it’s all about the ‘Endocannabinoid System’ – The Endocannabinoid System has been called ‘the most important physiologic system involved in establishing and maintaining human health’. If nourished well, and supported with CBD Oil, it has fantastic healing potential. In 1992, Dr. Rafael Mechulan, an Israeli scientist, discovered that the human body contains an endocannabinoid system. Our bodies create cannabinoids, which are vital in maintaining balance and homeostasis in the body. Unfortunately most of us are unable to create enough of our own cannabinoids and therefore our endocannabinoid system is out of balance. Until hemp was prohibited alongside cannabis 100 years ago, humans had a readily available source of cannabinoids because hemp was eaten and livestock were also often fed on hemp. Post prohibition, this was largely lost. When hemp and CBD were legalised a few years ago, many people began to take CBD and other cannabinoids extracted from hemp plants to top up their cannabinoid levels and bring more balance to their systems. Taking CBD oil helps your body to create more of the cannabinoids that your endocannabinoid system needs to help maintain balance and wellbeing in the body.